Wastech Controls & Engineering Inc. employs a large staff of chemical, mechanical, electrical and controls engineers, which makes delivering custom designed, skid-mounted pH adjustment systems, pump lift stations, industrial control panels and a wide array of other wastewater treatment systems to virtually any client in any industry a reality. 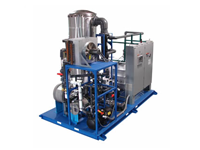 Wastech has also specialized in turn-key packaged systems for industrial waste treatment applications in the solar, pharmaceutical & biotechnology, semiconductor, specialties & nanotechnology, medical devices, food & beverage, aerospace, metal plating & finishing, power generation & energy and oil & chemical manufacturing facilities for over 25 years. 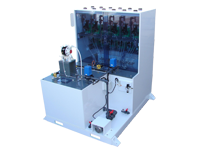 The following are just some of the many industries for which Wastech has delivered premium pH adjustment systems. Photovoltaic solar cell manufacturing is a growing industry in today’s world, and for many years Wastech has been providing controls solutions to this industry. From the beginning to the end of the solar cell manufacturing process, Wastech has a solution. Most solar manufacturing facilities use heat generating equipment such as furnaces and require process cooled or chilled water to maintain a critical temperature setpoint. Wastech can supply Process Chilled and Cooling Water systems that are built with enough redundancies to operate continously with zero downtime while maintaining a steady flowrate and temperature output to the equipment. Wastech has several PCW systems installed in solar cell manufactuing plants around the world that have been operating 24/7/365 for over a decade. Wastech also can automate such processes as chemical delivery to tools and waste transfer from tools to different types of waste treatment systems. In fact, Wastech automates all types of waste treatment systems including pH adjustment systems, heavy metal removal systems, fluoride removal systems, and complete rinse water recycling systems. Whether the treatment process is a batch or continuous configuration, our control systems will optimize the performance of the equipment, saving the customer money in the end. Wastech has extensive experience with pH neutralization systems for Pharmaceutical and Biotechnology customers. Our solutions range from lab waste systems such as the LabDELTA® to large, custom ProDELTA™ treatment systems. Since waste treatment is the last step in the processing chain, it is imperative that it does not shut down. Some of our systems feature triple redundancy to ensure this never happens. Manufacturing in the Pharmaceutical and Biotechnology industries is heavily regulated by the FDA, especially when it comes to electronic record keeping and process automation. Wastech has the necessary in-house expertise and quality control measures to ensure that all project requirements are met per the provided specifications. Wastech has successfully fabricated and validated numerous wastewater treatment systems installed at the facilities of leading Pharmaceutical and Biotechnology companies located around the world. Wastech can provide a complete automation system for any batch or continuous process while maintaining compliance with industry standards. From PLC control of equipment, to the operator interfaces that accompany them, we can offer a complete automation package. And if a customer wants to take the next step and monitor all processes plant-wide, Wastech offers an industry compliant SCADA system that will give them the power to coordinate all operations more efficiently and increase the quality of the product. 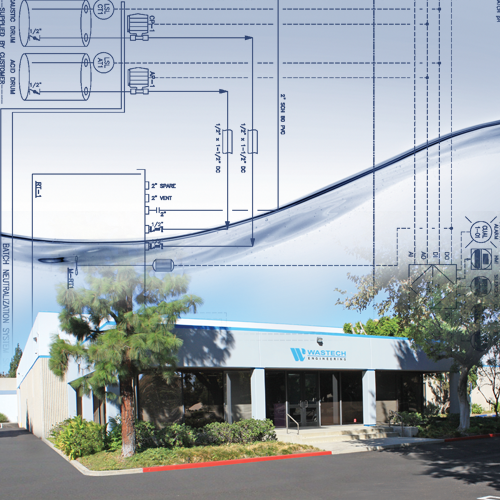 Wastech Controls & Engineering, Inc. provides effective solutions for semiconductor facilities with automated systems for wastewater treatment, high purity chemical delivery and process support. Wastech specializes in welded plastic equipment and piping for use with highly corrosive and toxic chemicals. Wastech’s UL508A certified control panels feature Allen Bradley PLC and HMI components with thoroughly tested control logic that meets the operational and safety demands of semiconductor customers. Wastech integrates these systems into complete pre-plumbed, pre-wired and skid-mounted assemblies that are factory tested. This keeps installation and commissioning time to an absolute minimum. 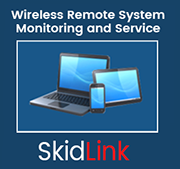 Wastech control systems interact with facility management systems to provide remote monitoring and notification, operating data collection and operational interlocking. Wastech systems fully comply with all relevant SEMI, NEC, NFPA and IBC standards. 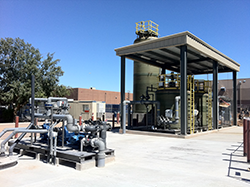 Wastech specializes in control systems for chemical delivery, chemical mixing and blending, and chemical waste treatment. Many times in specialty chemical manufacturing, a chemical needs to be diluted from neat form into different solutions. Acids, for example, are sold at different concentrations for consumption. Wastech can provide a chemical blending control system to get consistent, accurate results at a fast pace. We can implement many ways of accurately mixing chemicals based on weight, density, or volume to get the correct concentration every time. Using the S88 standard for batch processing, our systems are extremely flexible when it comes to recipe changes. Downtime is minimal with a Wastech chemical blending control system. Where chemical blending is being done, there is most likely going to be chemical waste that needs treatment. Wastech has extensive experience in waste treatment control systems and can provide sophisticated control systems for treating high and low pH waste. Medical device manufacturers typically generate waste that is very extreme in pH. Treating this waste can be very complicated due to the violent reaction that can occur if done too quickly. This can create a safety hazard for operators. Wastech excels in industrial waste treatment systems for extreme pH waste. Our engineers can design a control system that uses pH and temperature signals to accurately and safely control extreme pH neutralization systems. 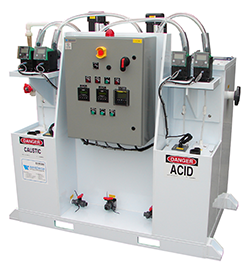 Combine our sophisticated control systems with a Wastech concentrated acid or base treatment system for a complete, safe, and reliable solution. 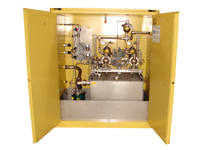 For facilities with a continuous flow of acid waste, the LabDELTA® pH neutralization system is a compact skid mounted treatment system that can treat up to 3 gpm of acidic or caustic waste. For higher flows, the ProDELTA™ series can handle streams of 10 gpm to over 400 gpm. Beverage plants use a lot of water for production purposes and as a result generate a tremendous amount of wastewater exceeding 1000 gallons per minute. Wastech has built large custom pH neutralization systems for many clients in the beverage industry. 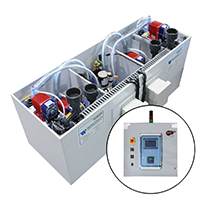 Our systems can be designed for indoor or outdoor installations, and may include value-added features such as retractable, self cleaning pH probes and effluent pH data logging with access to the data over an Ethernet connection. Manufacturing in the Food & Beverage industry is heavily regulated by the FDA, especially when it comes to electronic record keeping and process automation. Wastech can provide a complete automation system for any batch or continuous process while maintaining compliance with industry standards. From PLC control of equipment, to the operator interfaces that accompany them, they can offer a complete automation package. And if a customer wants to take the next step and monitor all processes plant-wide, Wastech offers an industry compliant SCADA system that will give them the power to coordinate all operations more efficiently and increase the quality of the product. 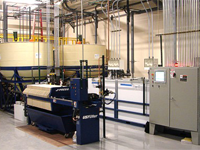 Wastech has extensive experience in automating metal plating lines as well as designing process pH adjustment systems capable of handling the waste generated by the substantial amount of metalwork required by the aerospace industry. Using sophisticated recipe management systems and following the S88 standard for batch processing, we can provide a control system that is smart and efficient. Operators key in the type of batch being run and the system takes care of the rest. We can even implement barcode readers to eliminate operator mistakes when starting a run. Our expert fabricators can build high quality polypropylene plating tanks for the line, and our mechanical designers can lay out the entire system in 3D to help the contractors make an easy installation. Metal plating rinse water cannot be discharged directly to the sewer. The metals must be removed first, and then depending on the treatment system, the water can be discharged or even recycled and used in the rinse process again. Wastech has extensive experience designing and fabricating these systems. Combine a Wastech control system with a Wastech treatment system for a complete solution to wastewater treatment. Add the plating line automation system and a SCADA system for a plant-wide control system. Utilities such as power generation plants and municipal water and wastewater plants need automation on a large scale. Wastech is the expert at automating any type of fluid handling system, especially wastewater treatment systems for the utilities industry. Whether there is a need to automate a single process, or monitor and control many processes plant-wide with a SCADA system, we have a solution. Our control systems reduce the chance for operator errors while at the same time provide advanced diagnostics when problems arise. This makes problem solving faster and easier and in the end, saves the customer money. The Oil and Chemical industry usually contains many hazardous working environments where hazardous and flammable vapors either are or can be present. Wastech has solutions for all hazardous location control systems including intrinsically safe and explosion proof controls. We can provide control systems designed to maintain a safe working environment for operators in the oil and gas industry. Wastech can also provide complete, plant-wide SCADA systems to monitor and control processes throughout the facility in one central location, or in many locations. Their SCADA packages monitor and record important data and present it in a manner that makes it easy to analyze how the plant operation is running as a whole, saving valuable time and money. Wastech's ability to provide fully automated pH adjustment systems, pump lift stations and chemical collection solutions that are both extremely compact and cost-effective makes it the omptimal choice for wastewater treatment in national and research laboratory settings. 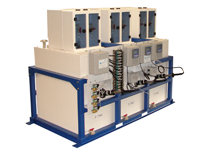 In addition to its popular LabDELTA® Batch and LabDELTA® Continuous pH adjustment systems, Wastech also offers its LabDELTA® Concentrated model, which safely handles the neutralization of highly concentrated acids and bases (pH <1 and >12) in a fully contained, small-scale system ideal for hospital or laboratory settings where space is often limited. With hundreds of systems currently operating in schools, universities and govenrnment facilities around the globe, you can feel confident that your Wastech Laboratory pH Adjustment System will reliably neutralize your process wastewater while eliminating the risk of exposure and accidents to operators and laboratory personnel.